NASA's new Solar Dynamics Observatory (SDO), launched on February 11, 2010, has returned remarkable images of the sun. 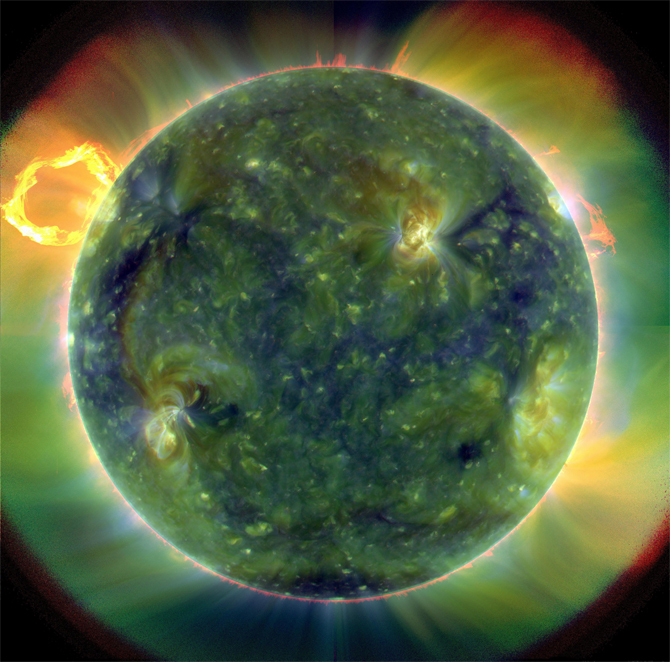 ← An ultraviolet view of the sun. The new observatory gives us a view of the sun in dynamic formats and is referred to, by NASA, as one of the most advanced spacecrafts ever launched.